Local Maryland and Pennsylvania Mortgage Veterans Serve YOU, Not the Bank! Priority Mortgage Group, the mortgage intelligence specialists in PA and MD, is the top information source about all of your PA mortgage and Maryland home loan needs. Our combined decades of experience in the business gives us access to hundreds of mortgage brokers and the intelligence about the lowest interest rates in Pennsylvania and Maryland. 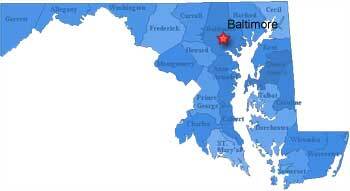 We provide information about the largest variety of MD & PA home loan programs. Whether you are looking for a traditional home loan, refinance, debt consolidation loan, purchase an investment property, new construction loans, second mortgages or take out a home equity loan, our loan wizards are here to serve you. Our team is composed of the nation's most renown mortgage authorities, including the authors of the award-winning Buying My First Home guide and other popular mortgage-related literature. Our favorite thing to do is answering potential home buyers' questions about mortgages, loans, and everything related to buying a house. Maryland and Pennsylvania mortgage options include: fixed interest rates, variable interest rates, adjustable interest rates, loans without private mortgage insurance (PMI), construction loans, cash out money at closing, or any other possible Maryland or Pennsylvania mortgage need. Helping you with home mortgages is our priority, and we do it with the best service available anywhere. It all begins with information, so get ready to explore our site and find out how you can buy your home and at the best possible rate. Interest Rates are still low!! Act Now! !